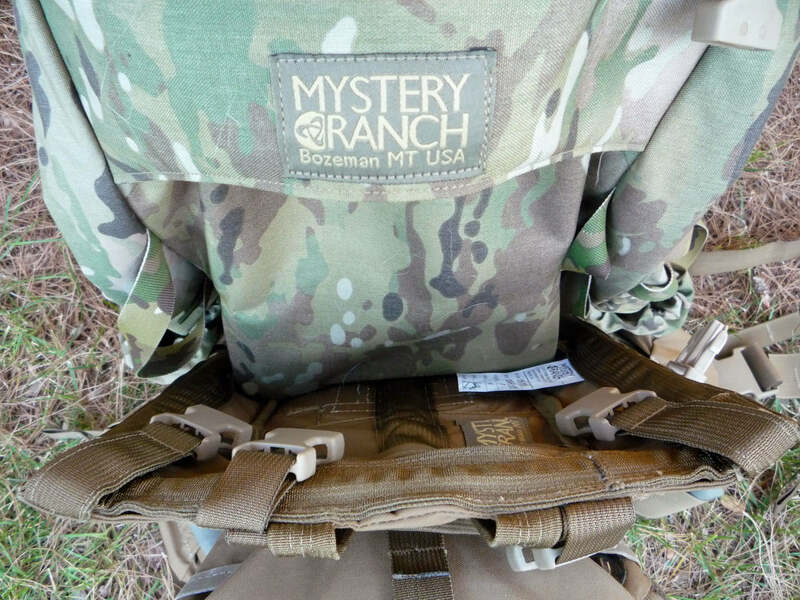 The Mystery Ranch NICE 6500 is an extended mission bag that is designed to be used in conjunction with and exclusively for the NICE Frame. The bag is a top loading design with a storm collar, three grab handles, two external water bottle pockets, two external long pockets and a removable Daypack Lid. 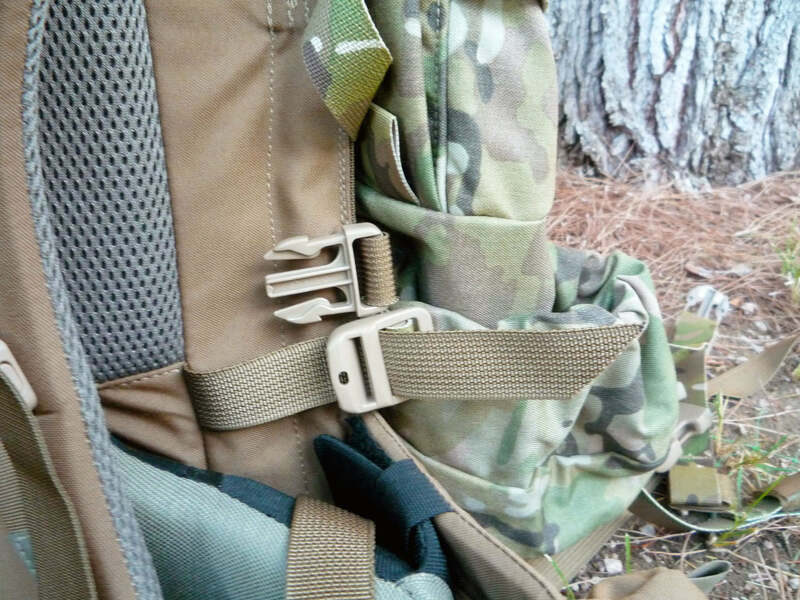 Two aluminum stays extend 5” above the NICE Frame to give additional lift on the shoulder straps. These stays are supported by HDPE plastic at the bottom, a composite rod at the top and are situated in a pocket that protrudes outside the main bag. To attach the bag to the frame, slip this pocket with the aluminum stays behind the middle horizontal stay on the backside of the NICE Frame. Simultaneously, the frame pocket on the bag should slide over the top of the frame. 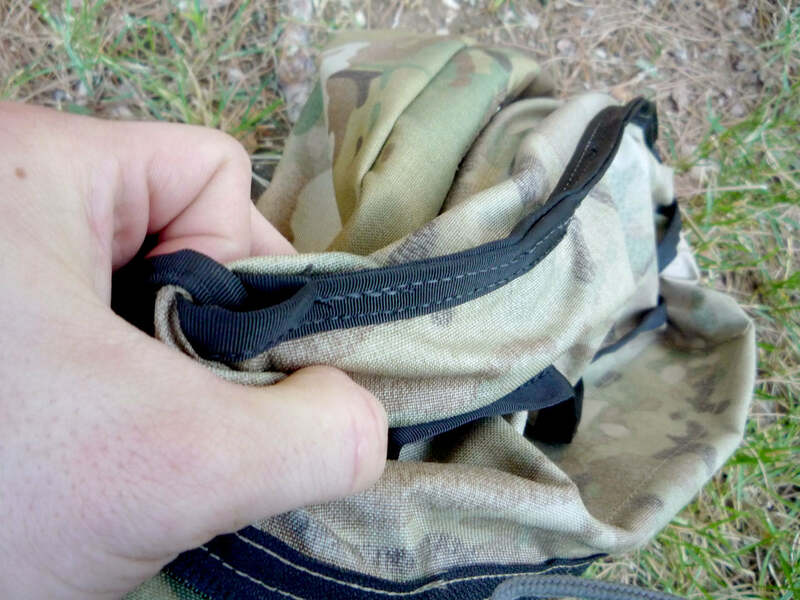 Once this is secure, locate the two lengths of webbing that are located by the frame’s hipbelt and weave these through the corresponding ladderlocks located on the bag; these help retain the frame inside the frame pocket. 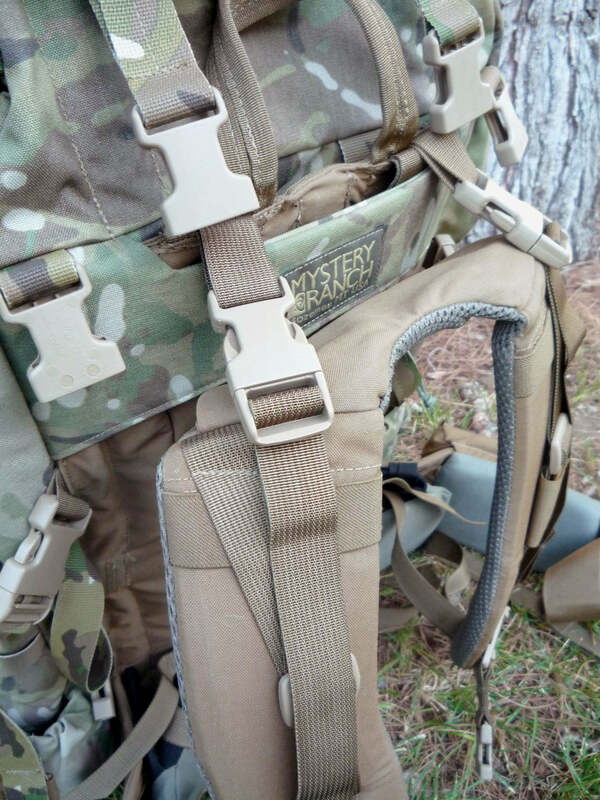 Looking at the bottom rear of the pack, you’ll notice two female buckles – these connect to the lower male buckles on the NICE Frame’s integrated compression straps. 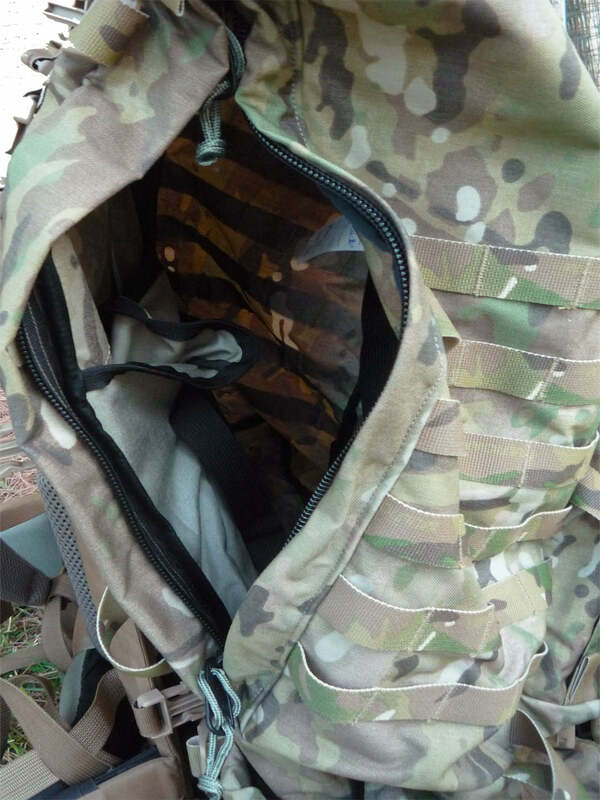 Cinch those tight, then route the upper male buckles through the lashing points on the bottom of the bag and connect them to the female buckles located between the long pockets and the sleeping bag compartment. 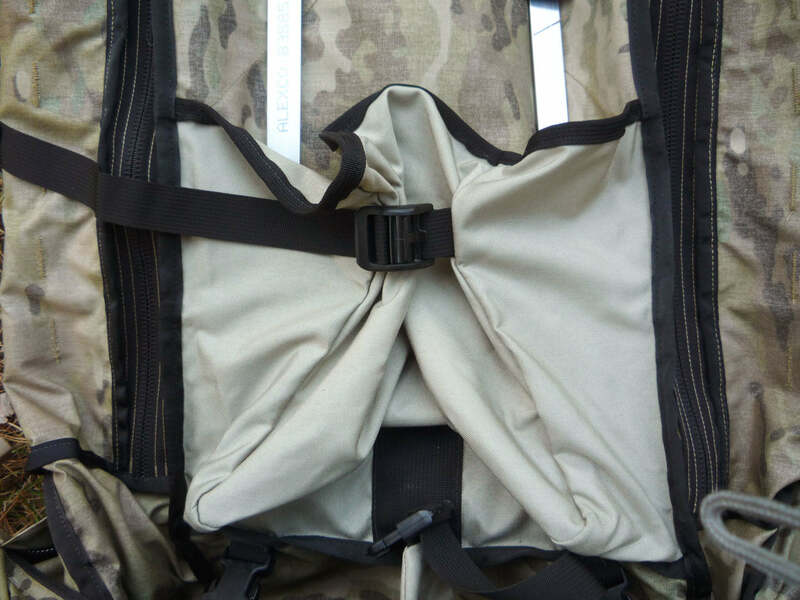 Finally, there are two horizontal straps on each side of the bag with side release buckles that correspond with buckles on the side of the frame; connect these to compress the bag to the frame. The main compartment is 30” x 14.5 x 10” at a calculated 4,350 cu-in, or 4860 cu-in including the 7” storm collar. It features 19” zippered access on each side and a radio pouch that can be cinched with an Auto-Lok ladderlock buckle. The main compartment also has an optional internal divider for the sleeping bag compartment, 21” from the top of the bag, giving you 3555 cu-in with the storm collar and 3045 cu-in without. The exterior vertical pockets are 20” x 5.5” x 3.5” at a calculated 385 cu-in each or 770 cu-in combined. These feature zippered access that runs the entire length of the pocket for full visibility and access. The sleeping bag compartment is constructed in a way that makes it expansive and thus easier to pack. This is achieved by constructing the zippered opening separate, using additional material to make the access longer, wider and actually extend from the main bag when opened. 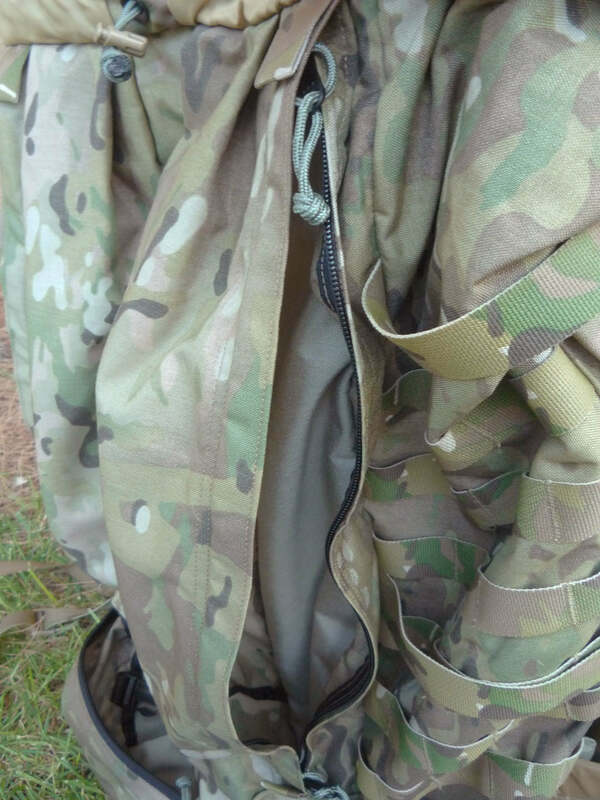 It then compresses neatly by being zipped up and the two wings being clipped together via a side release buckle. 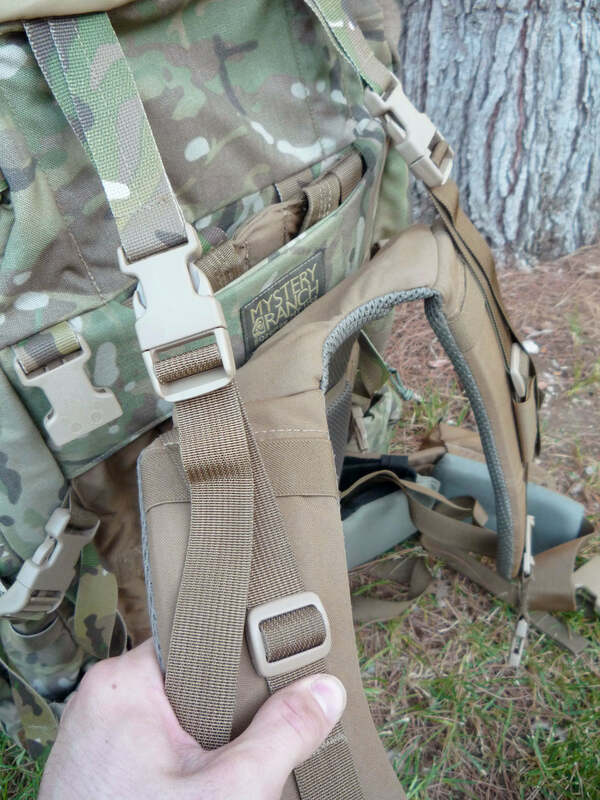 This compartment also features one internal compression strap and two internal male side release buckles that attach to the female ends of the optional divider to compress the compartment when not in use. 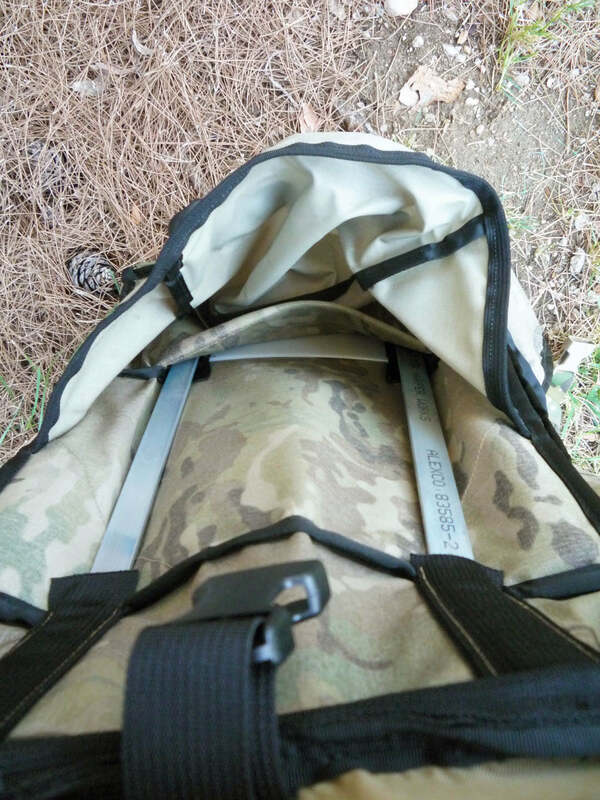 The removable Daypack Lid is roughly 14” x 14”, featuring two horizontal pockets that measure approximately 8”x 14” x 4” at a calculated 450 cu-in a piece or 900 cu-in combined. 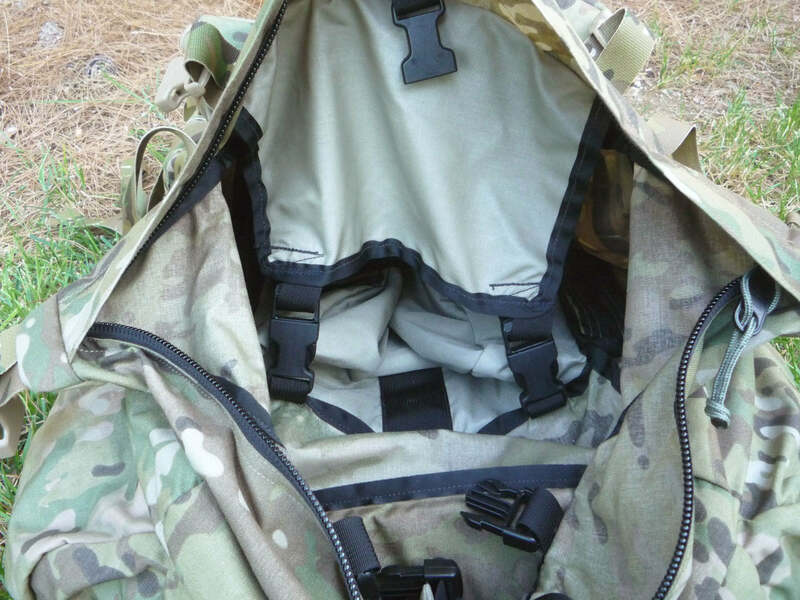 It has two integrated, unpadded shoulder straps complete with a removable sternum strap, all of which stow in its own compartment when not in use. This stowage compartment also has a removable .25” closed cell foam sheet for padding, which adds a marginal amount of rigidity as well. The Daypack Lid is configured for hydration routing in both pockets. 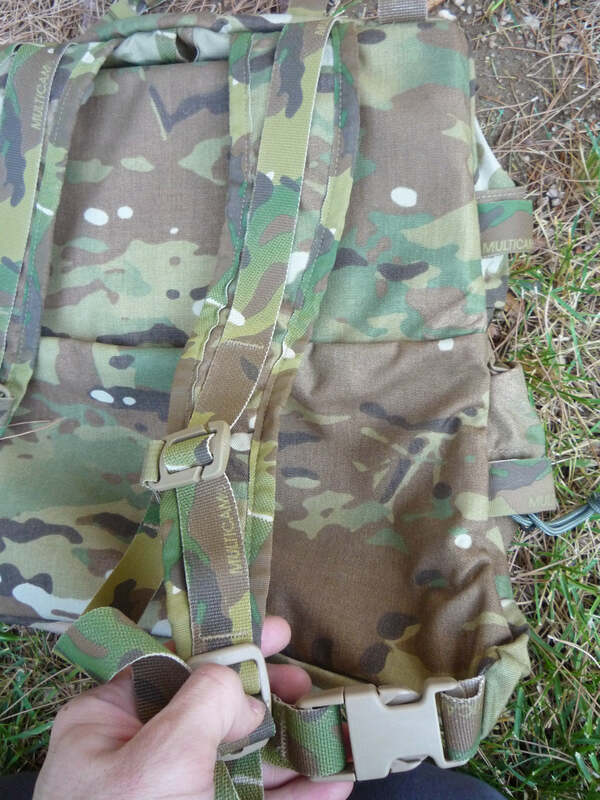 Compression/lashing points are located on several parts of the bag: Three horizontal compression straps, two upper vertical compression straps that attach to the lid and two lower vertical compression straps that compress the sleeping bag compartment. The bag also features 5 columns and 6 rows of PALS on each side, a single daisy chain running between the vertical pockets and two rows of webbing on the bottom of the bag. 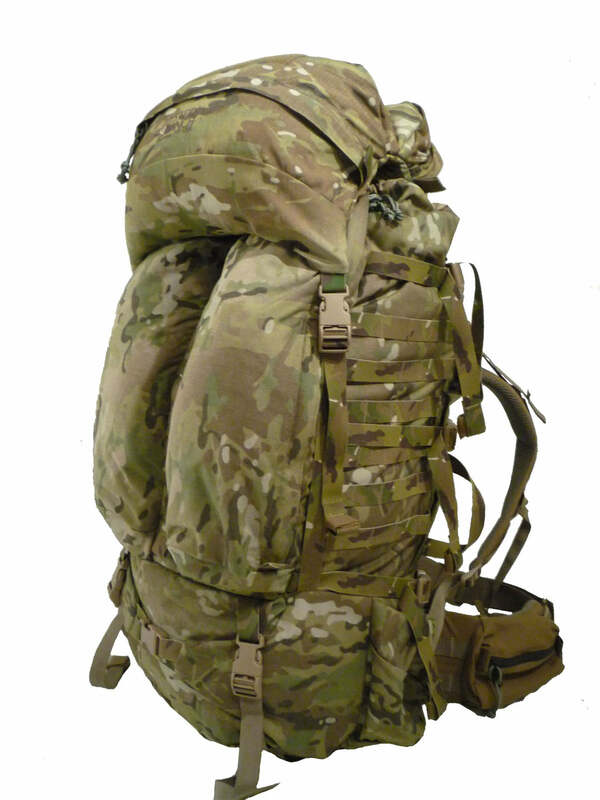 I have put quite a few miles behind this pack and had used it every day over the course of 3-4 weeks. The pack ride is very stable - it moves in a fashion that does not feel unnatural or limiting. 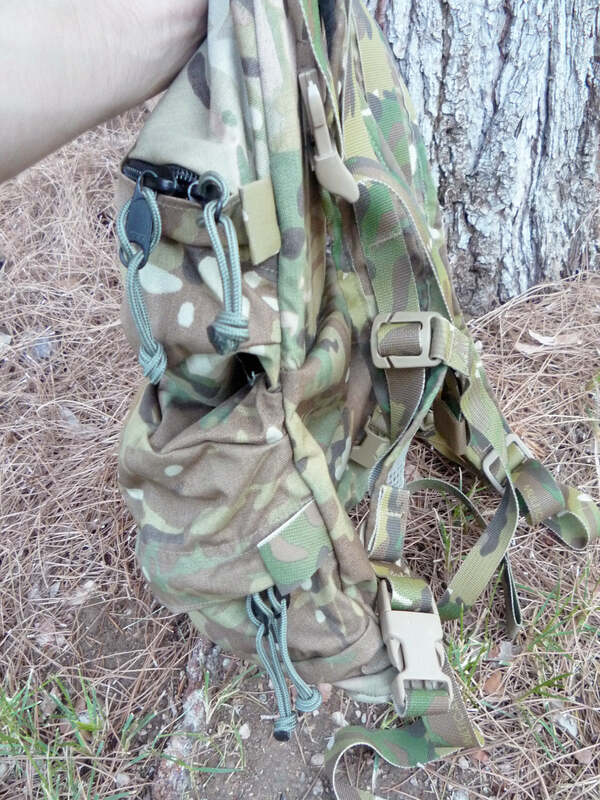 The lumbar region of the bag does tend to sag slightly, causing the hip belt to angle upward and the belt buckle to dig a bit; this may be more noticeable under heavier loads. 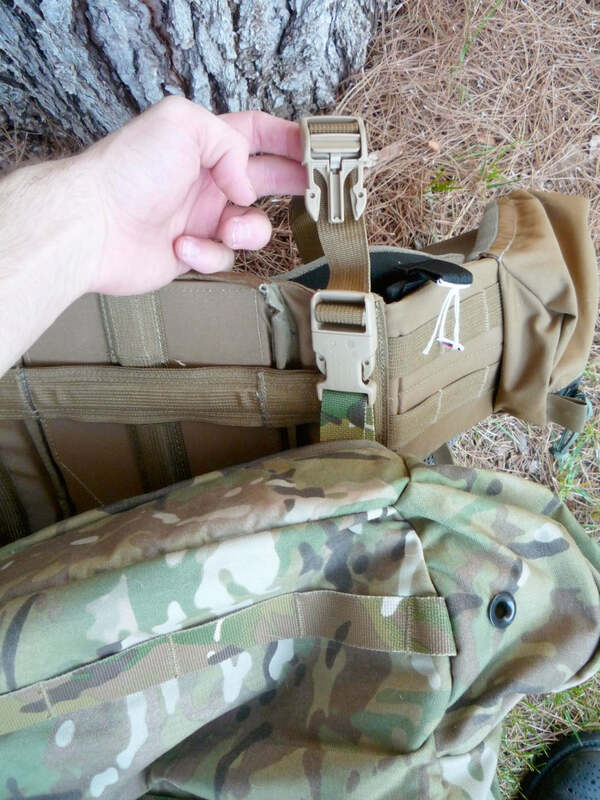 The extension in the load lifters improves the comfort of the pack drastically, removing a lot of the downward pressure off the shoulder straps when compared to any pack attached to the NICE Frame without some kind of load lifter extension. I really like the handles on the side of the bag. My buddy's Mystery Ranch Kodiak didn’t come with these and donning and doffing the pack was extremely difficult, so much so that he ended up sewing some on himself. One of my biggest complaints with this bag is the Auto-Lok buckles. They have a tendency to jam; if they get tugged backwards the locking mechanism bites the webbing so hard it almost takes pliers to get the things to budge. I could also imagine how irritating they would be in colder weather with numb, frozen hands or while wearing gloves. I can’t describe my hatred of these things enough so I’ll stop here. A loaded Daypack Lid has a tendency to curl up and sag on your back. It’s not the most comfortable thing to wear; however, for what it is, it serves its purpose. Also, Mystery Ranch made it incredibly easy to take a knife or seam ripper and remove the stitching separating the two pockets. 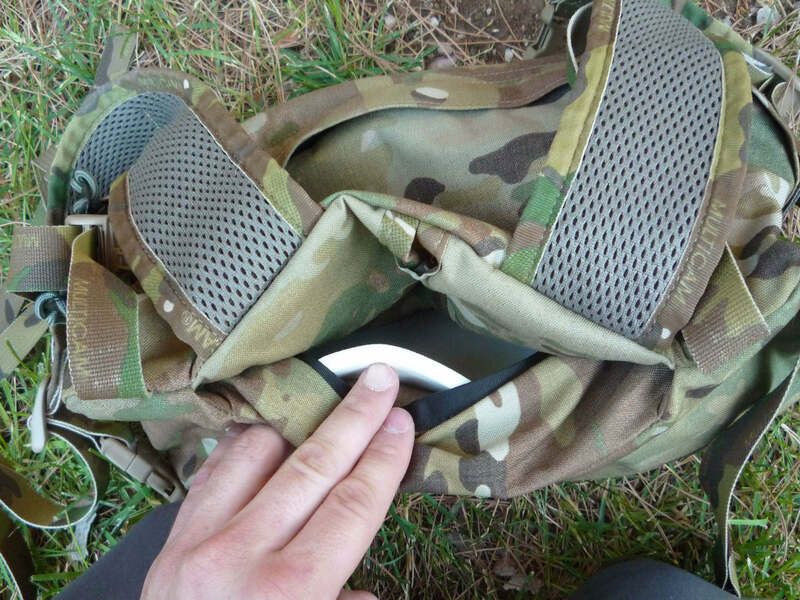 So, if you want a larger Daypack Lid, you can pop that seam and increase its carrying capacity. 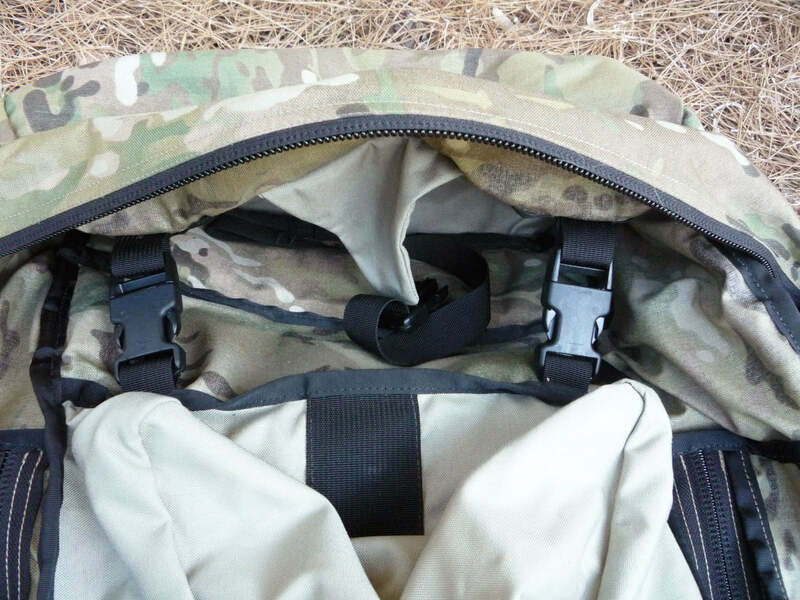 I wish they made the shoulder straps removable for those who do not wish to use the lid as a day pack, yet don’t want to devalue their investment by cutting them off. Mystery Ranch® and NICE® are registered trademarks of Mystery Ranch, Ltd.